If you’ve never tried this brunch favourite as a savoury dish, you’re missing out. It’s also a great way of using up stale bread – perfect for breakfast, lunch or dinner! Beat the eggs in a bowl, add a dash of milk and the salt and pepper. Transfer to a shallow dish or plate. Meanwhile, heat a frying pan on a medium to high heat and add the butter. When the butter is starting to brown, add the eggy bread to the pan and fry for a couple of minutes or until the underside turns golden brown. Flip with a spatula and do the same on the other side. 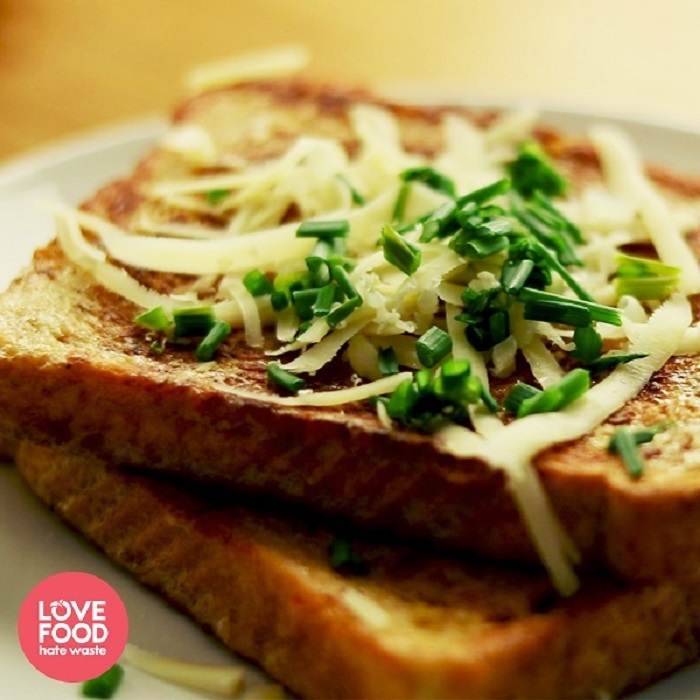 Transfer to a serving plate, and while the toast is still hot, grate over some cheese and allow to melt slightly. Add a handful of chopped chives and serve immediately.